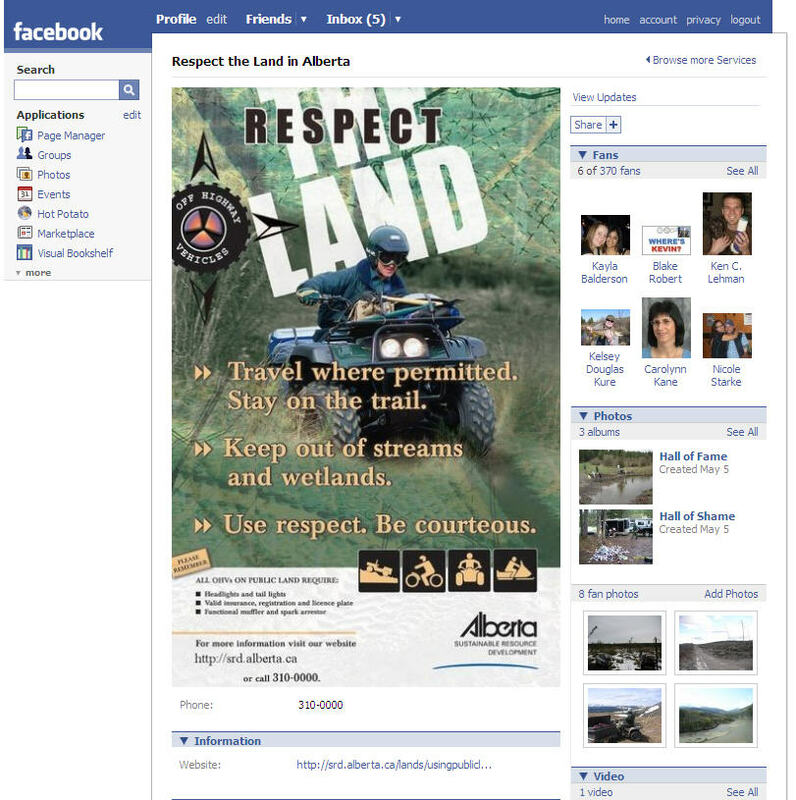 The Alberta government has a Facebook page aimed at out-door users. Called ‘respect the land’ it is from the ministry of Sustainable Resources and may be one of the first of its kind. Is the government getting ‘with-it’? and recognizing that more and more people are using social networking and social media for their news and information gathering? Are you? For access . . .goto Facebook and search on ‘respect the land’. Become a fan . . . not just of the page but of the message.